Karl Oliver is a Minnesota debtors' rights and bankruptcy lawyer, serving the Minneapolis and Saint Paul area as well as north central and all of southern Minnesota--from Brainerd to the Iowa border. Fresh Start has convenient offices in Roseville and Bloomington. 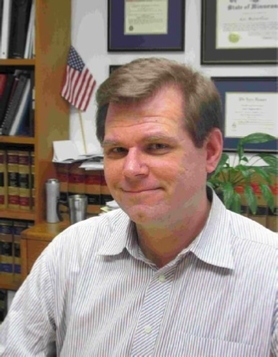 Karl has been helping individuals, families, and small businesses with their legal needs for over 20 years. Karl is a native Minnesotan, a graduate of Mounds View High School in Arden Hills, Minnesota, and Colby College in Waterville, Maine. Karl is a graduate of the University of Minnesota Law School where he was an Associate Editor of the Minnesota Law Review. Karl has helped hundreds of Minnesotans overcome significant obstacles, to achieve a fresh financial start, and to keep their dreams alive. Karl is committed to treating all his clients with the dignity and respect they deserve. In addition to helping clients on a daily basis, Karl Oliver makes a special effort to ensure all Minnesotans know about how the law can be used to build prosperous futures. Karl believes that “debt forgiveness and financial restructuring options available via bankruptcy should be available to all citizens – not just Wall Street bankers”. Karl speaks at community groups about restructuring and practical issues such as avoiding garnishments and using bankruptcy law to reduce, when possible, mortgage debt. With practical, future-oriented advice, Karl helps both clients and members of community groups save what can be many thousands of dollars and build a more prosperous future. If you know of community groups that need a speaker on how financial restructuring can help ordinary citizens, please call Karl. Also, if you need advice, please contact us for a free consultation at 612.655.1308 or 651.636.7960.